2016 marked a year of abrasive disagreement between the judiciary and the government especially over the issue of judicial appointments. While both the judiciary and the government may have us believe that transparency in the working of public functionaries is critical in a democracy, it is ironic that there has been complete opacity from both these institutions where disclosing a draft of the memorandum of procedure for appointments to the High Court and Supreme Court is concerned. This process has been shrouded in secrecy, excluding public participation in this crucial process. Repeated requests from the Campaign for a draft of the memorandum to be shared as well as a Campaign draft memorandum sent to the government and the judiciary, have received no response. The efficient functioning of the judiciary rests on steady and regular appointments. These appointments have been stalled or delayed by this government’s inaction in clearing several appointments sent by the collegium to the government in the last year. In a recent move, the Union Government's act of returning thirteen names of persons recommended to be judges of the Allahabad High Court to the Supreme Court collegium for reconsideration, is an affront to the institutional independence of the judiciary, and shows callous disregard to the problems of the ordinary litigant. As per the law well settled by the Supreme Court in the Second and Third Judges' cases, the Union Government is not entitled to engage in an endless back and forth over the recommendations for appointment of judges to the High Court and the Supreme Court. Once the recommendations are re-iterated by the Collegium of judges, the Union Government is constitutionally obligated to process the recommendations and appoint such persons as judges at the earliest. The Union Government's present action is thus unwarranted and unconstitutional. 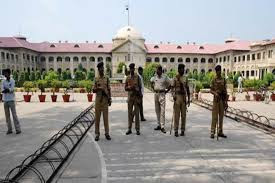 It is well known that the Allahabad High Court suffers from the highest number of vacancies in judicial posts, and thereby a crippling problem of delay and arrears in disposing of cases. Far from working with the judiciary to address these issues and ensuring the quick reduction of vacancies, the Union Government has stalled the process for ulterior motives. Further, it is not just the judiciary that is at the receiving end of the governments apathy and attempt to compromise the integrity of independent institutions. The government has not appointed the Lokpal despite the Parliament enacting the law in 2014. The Whistleblowers Protection Law also remains un-notified. Existing bodies such as the Information Commission have suffered due to large number of vacancies for long periods, with the resultant inability to carry out their mandate, which further undermines the objective of the law. With the media reporting that in the VIP copter scam politicians may now to be a focus of CBI probe, it becomes apparent why the government in a deliberate dereliction did not convene a meeting of the selection committee to select a full-fledged CBI director as mandated under the law. This appalling lack of respect for institutional mechanisms on the part of the Union Government has been a recurring phenomenon of late. The people of India have elected the present Government to govern in accordance with the law and existing institutional boundaries. Far from addressing the grievances of litigants who are unable to access justice, the Union Government has simply ignored them and worsened their problems. Therefore, we call upon the Union Government to cease this charade and resolve to act in accordance with the law and the Constitution and address the problems of the litigants by immediately appointing all the recommended persons to the Allahabad High Court. The repeated raising of petty objections suggests that the Union Government has no intention of letting the judiciary fill the posts with competent, independent minded judges. Condemning this disturbing trend, we reiterate the need for the judiciary to be a firm, independent and uncompromising check on the government.